The web industry is constantly changing. Here are the trends to watch out for in 2019. 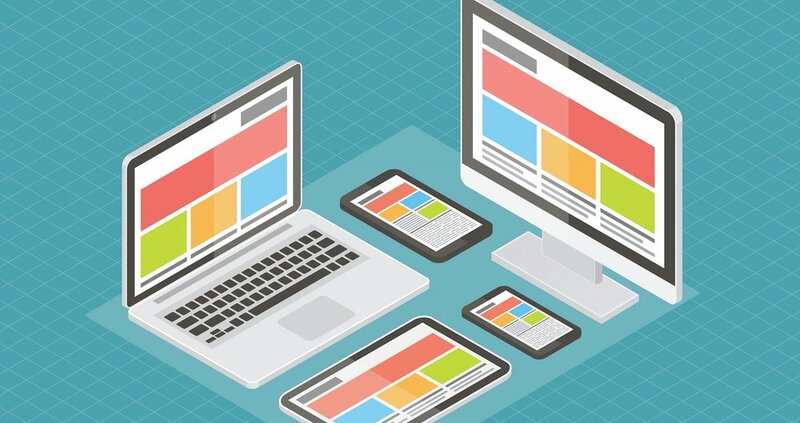 Predicting coming web design trends is always tricky. Get it right and you are praised for being ahead of the curve; get it wrong and you are met with a flood of I-told-you-sos. That said, I'm going to push my luck to see if I can provide some insight into the trends that will define web design in 2019 and beyond. We have seen some vast changes in the past decade: the HTML5 revolution, mobile-first app development and now native features in web apps, plus more new web design tools than you could imagine. With the increasing use of machine learning, cross-platform frameworks and a more diverse developer base building everything, there's going to be some exciting changes in our industry. These are my predictions for the biggest web design trends in 2019. Artificial intelligence is too hot to not bring up. While it might not be as flashy as a self-driving car, the web can certainly connect to AI. Machine learning is going to take analytics to the next level. In the past, analytics offered more of a reactive approach: log the data and then use it for your next release. 2019 and onwards is going to be about capturing data about how your app is used and improving the user experience by driving the website to change and adapt to this by itself. This means that, depending on the data available on a user, the application will be able to act like a chameleon and change itself to provide the ideal UX for them. This will create truly personalized sites that behave differently and show different features depending on the individual using it. With the explosion of voice assistants such as Alexa and Siri, conversational interfaces are bound to become a natural part of an application's fabric. As more users become accustomed to interacting with the web using their voice, developers will need to ensure they can offer a seamless experience, even in web applications. Imagine having users sit on their couch and view their social media feed or tell their favorite voice assistant to pull up and read a news article for them – all without traditional inputs. Accessibility is no longer a luxury; it should be an absolute requirement. We're seeing this pop up more and more, and this trend will just continue next year. Something that we have pushed hard with Progress Kendo UI is to follow common accessibility guidelines like WCAG 2.1 and WAI-ARIA, to ensure our web components follow accessibility requirements out of the box. This positive trend in accessibility focus will continue in the web. Whether this comes from development practices naturally emphasizing accessibility, or governments and legislature stepping in to enforce adherence, we will have more accessible applications. Augmented reality will take the web by storm in 2019. 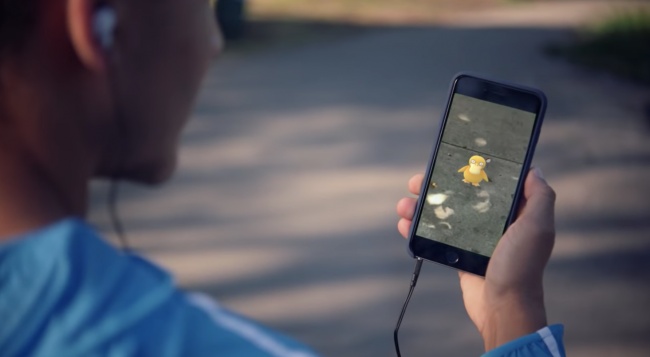 AR is already commonplace in scenarios like Snapchat filters or Pokémon Go, but its use of AR will only expand to cover not only social media and games, but also everyday applications. The beauty of AR is that it does not require full immersion via a clunky headset, as with VR. Instead, it can be used with the phones that we walk around with in our pockets today. Why should AR be limited to just the native mobile applications on a device? Why not use it on the web? Offering AR services through your web application without needing it to be installed as a native app can have huge benefits from a UX perspective. Imagine being in a grocery store and doing a quick web search for a recipe. AR integration could provide users with turn-by-turn navigation through their mobile device to find all the ingredients within that store – all within a web app. Frameworks such as NativeScript and React Native will also play a big part in bringing more developers to web technologies, since they provide a single codebase for web and native mobile applications. Additionally, concepts like progressive web applications (PWAs) will continue to blur the line between native mobile apps and web. Developers will then be able to purely focus on the user experience without worrying about specific platform choices. Web Assembly is another technology that is bringing more developers to the web. Thanks to Web Assembly, C++, C#, Rust and other programming languages can now target the web. Projects like Blazor, which leverages .NET in the web, take advantage of the promise of Web Assembly and will help open the web to even more languages. This means that in the future, all developers can be web developers, regardless of programming language. We're going to start seeing developers trying attempting to make applications as small as possible. Previously the size of an application would be the biggest focus for web developers. However, recently this has taken a back seat as developers increasingly focus on their new favorite framework. The average application has grown significantly in size, and although bandwidth has increased tremendously, it's important to remember that only certain people and areas will benefit from this. The size of our applications will hit a tipping point and we will see the trend go the other way, with devs once again taking pride in making their applications as small as possible. This not only means app that will feel faster, but it's also important for markets with slow and expensive internet connections, where every byte is precious. Beyond the technology, I believe what we see as the average developer and their background will also change. We already see this happening today but code camps will continue to provide us with more diversity in the developer workforce. Although not all coding camps are created equal, the overall concept is a great way of providing programming skills to an audience that would not normally have a chance to learn about development. The emphasis on learning the basic tools and concepts of development and then continuing this education on the job is already proving to be a very good way of creating great developers. This trend will most likely continue and is a big step on the way to create a richer and more diverse community of developers, which is ultimately better for everyone. This article was originally published in net, the world's best-selling magazine for web designers and developers. Buy issue 311 or subscribe.